The ULTIMATE beginner to pro yo-yo from YoyoFactory has arrived at the Village! 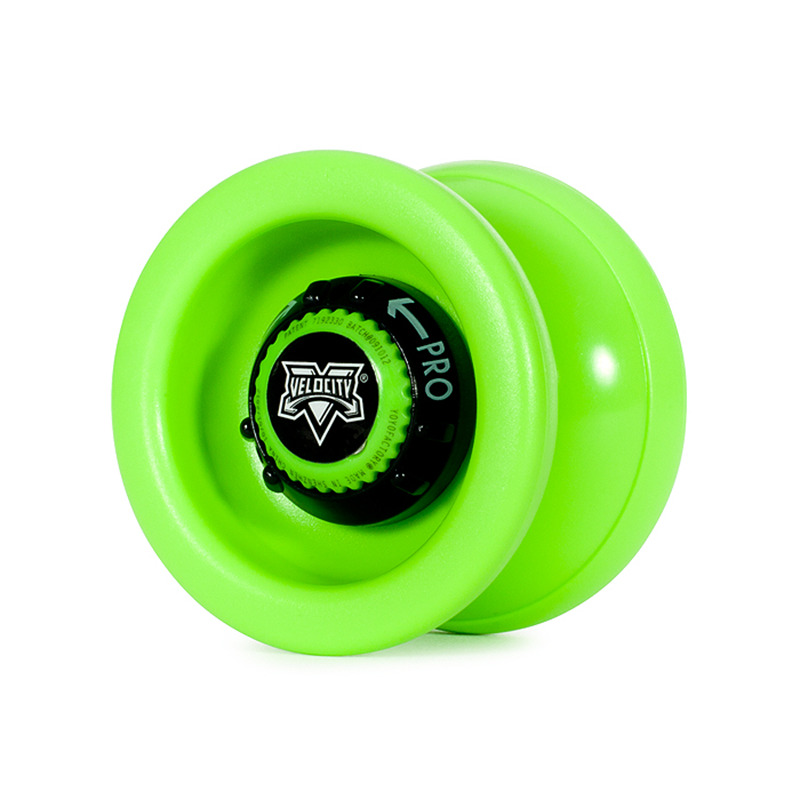 From YoyoFactory 'evolution' range, this yo-yo is designed to take you from the basics, all the way up to advanced unresponsive play - all with one yo-yo! The secret is in the adjustable dials which allow the player to alter the respnsive level, from tug responsive to bind-required unresponsive. "THE yo-yo of the 21st century: the Velocity is the first yo-yo of its kind. With the adjust-o-matic dials on each side of the yo-yo, the Velocity can be turned from a classic up and down yo-yo into a modern bind-return yo-yo with the turn of a dial. With the dials turned down for classic performance, you can throw the yo-yo and tug it back to your hand with ease, which makes it easier to learn the basics of yo-yoing. 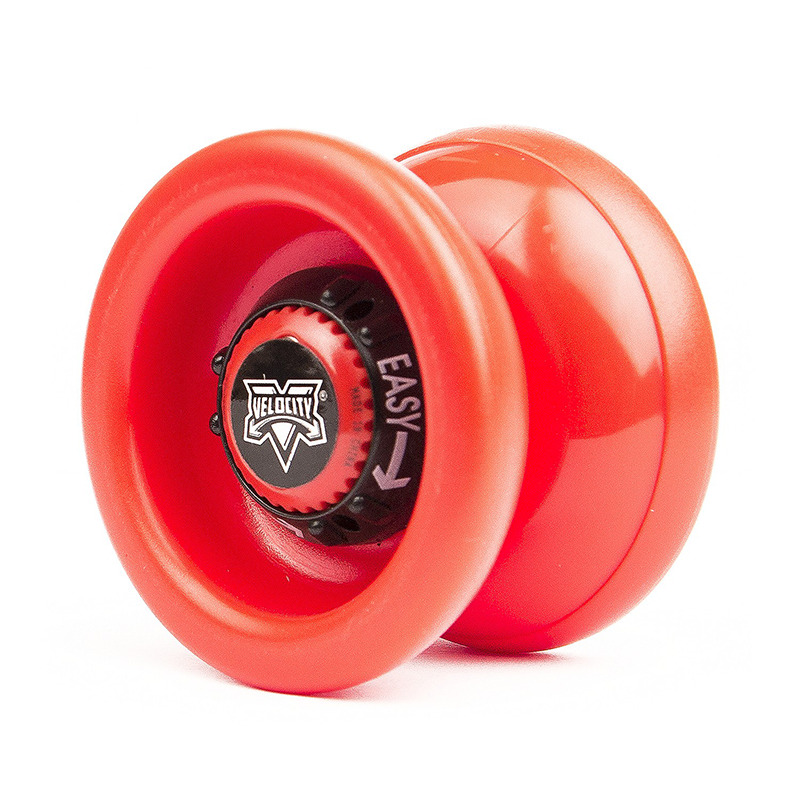 With the dials turned all the way up, the Velocity is capable of doing the most difficult tricks you can throw at it. 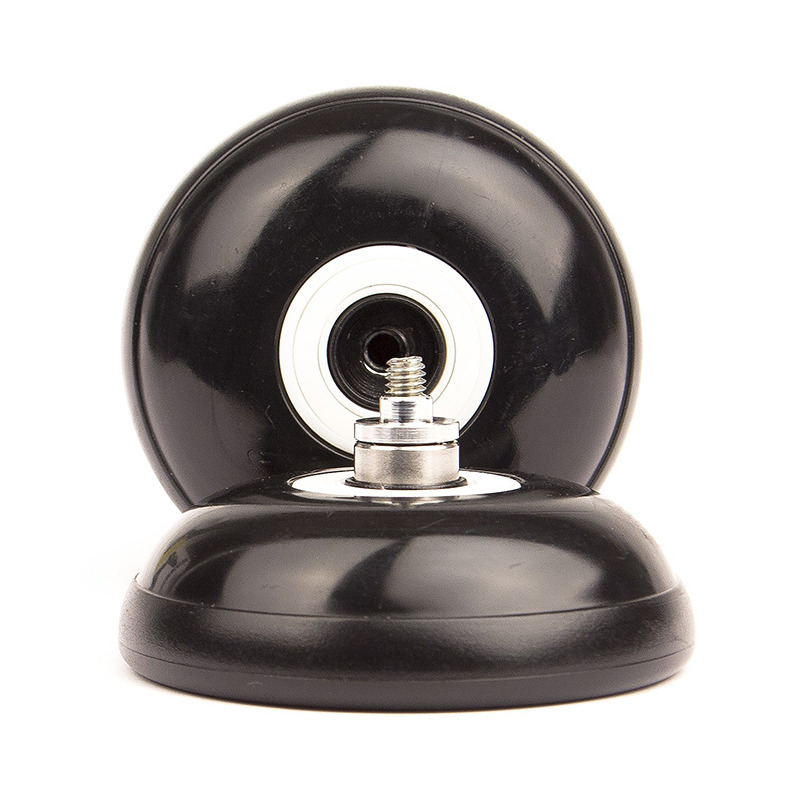 Combine the adjust-o-matic dials with silicone pad response and the high quality SPEC bearing and you have the yo-yo of the future available now!" 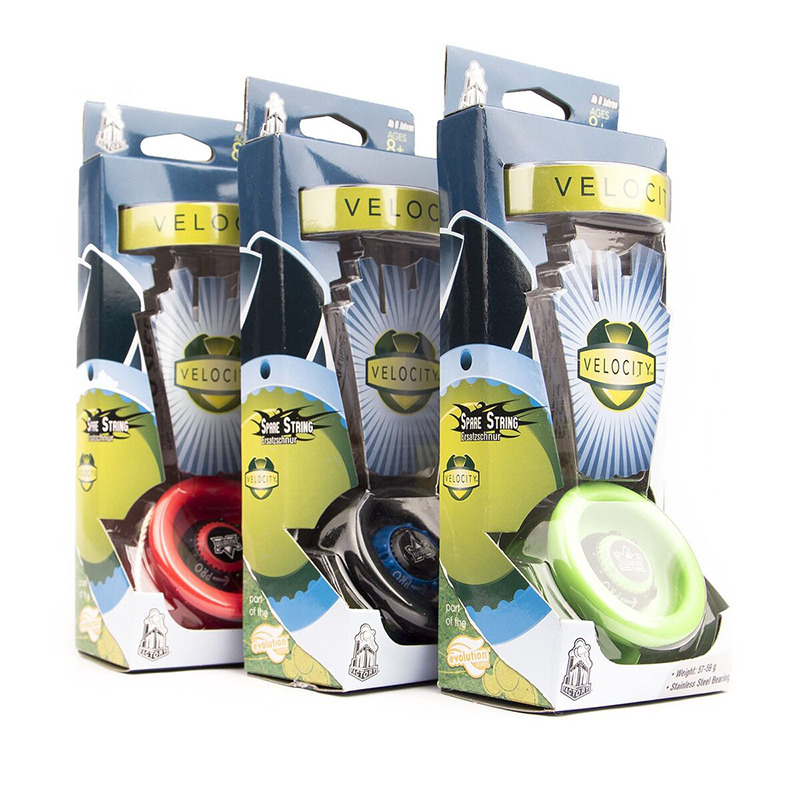 I was greatly impressed with the Velocity from the instant it was released, it has since become one of my "go-to yo-yos" when I introduce someone to the hobby for the first time. 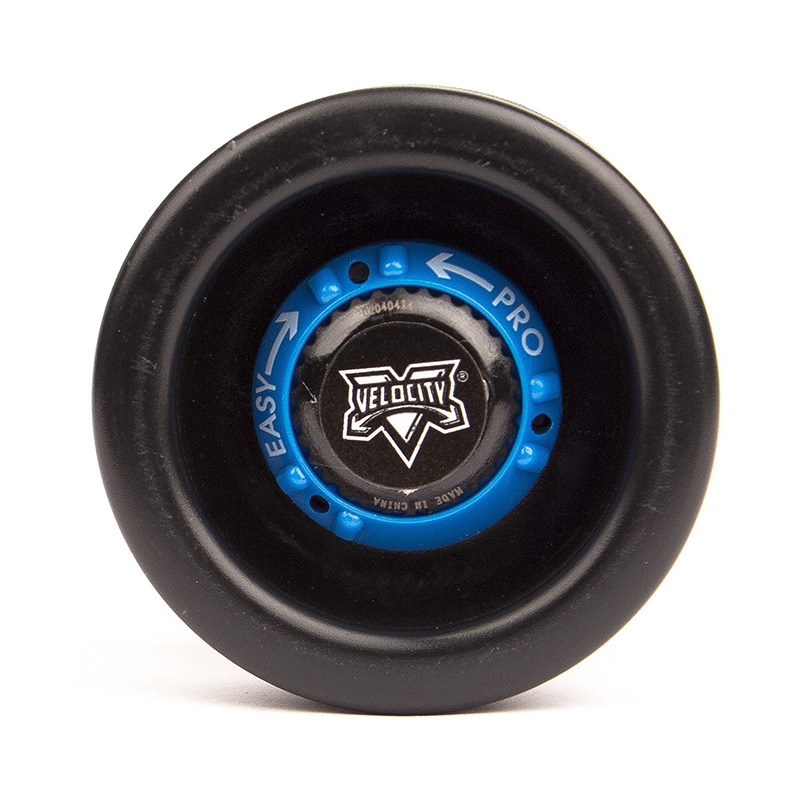 Where as many yo-yos that aim to take players from beginner to expert require the use of switching out different kinds of bearings and response pads, the Velocity does it all through the use of the adjust-o-matic dials - meaning maintenance is essentially as low as it can possibly be for a yo-yo of this type. This is also a great yo-yo for someone who has maybe tried yo-yoing already, or owns an entry level yo-yo and wants to be able to take the next step. The dials act as 'training wheels' so to speak, which allow the player to start off with the familiar tug-responsive performance they will be used to with their old yo-yo, but have the option to slowly but surely take those training wheels off, by loosening the response over time. This allows progression into more advanced tricks at a much faster pace then was ever possible before with just one yo-yo. My favourite aspect is the level of customisation that is available for this yo-yo, you are no longer constricted to the width of the bearing or the type of response pads, you can adjust the play style to micro-metre tolerances that are unique to you. 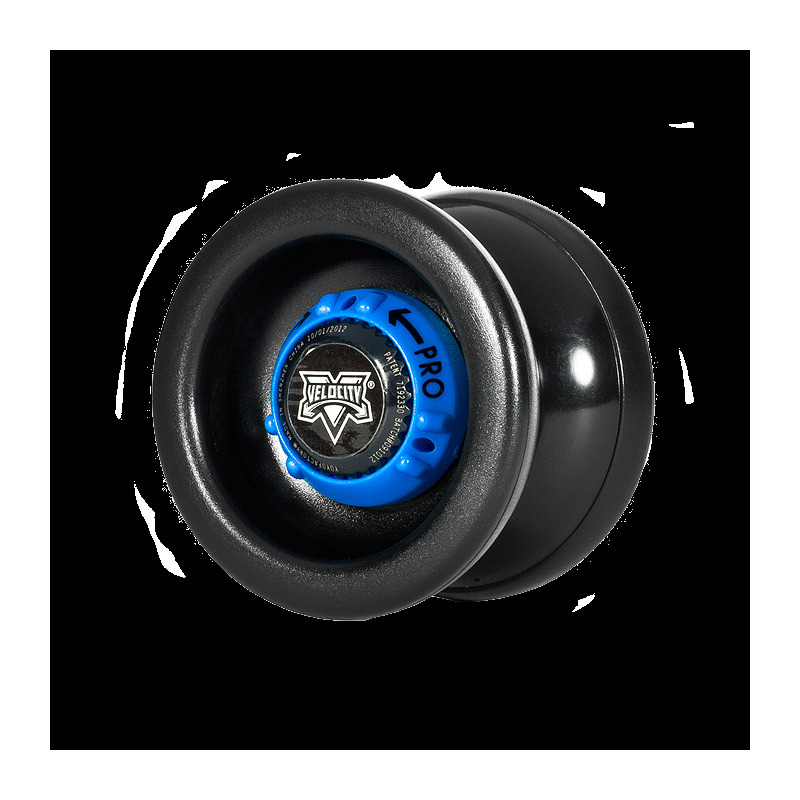 Even once you have reached the level of unresponsive play, this yo-yo can even be upgraded further with silicone response pads and advanced bearings (if the player should wish). Check out the video below to see this yo-yo in action, it starts off in responsive mode and then the YoyoFactory pros kick it into unresponsive mode with a simple twist of those dials! Really not impressed, the spin times are terrible and i can't make a mauc 5 last for 2 seconds with this thing, if you've got £11.99 buy the YYF Replay pro.